We believe your special event should be an experience. Memorable, engaging, compelling….. essentially unforgettable. 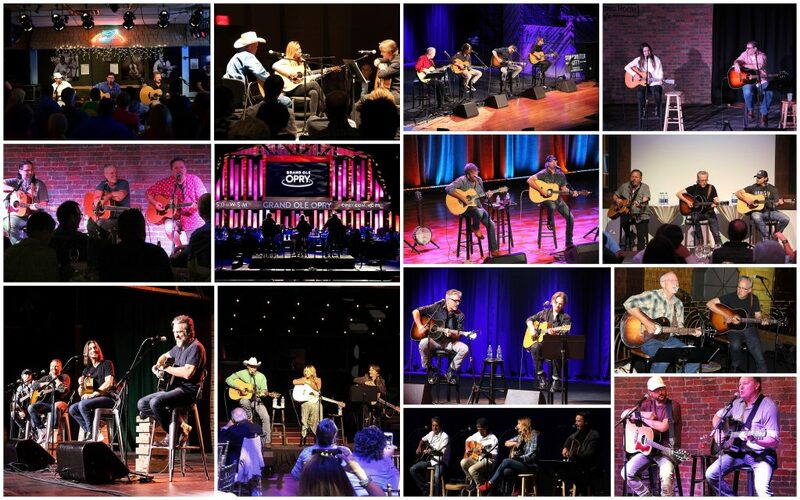 The best kept secret in the world of entertainment and events is a well-crafted songwriter experience. And now Songwriter City makes it available to you. Carrie Underwood, Tim McGraw, Taylor Swift, Keith Urban, Kenny Chesney, Miley Cyrus, Jason Aldean, Brett Eldredge , Lady Antebellum, George Strait, Toby Keith, Faith Hill, Blake Shelton, Miranda Lambert, Florida Georgia Line, Eric Church , Brad Paisley, Dierks Bentley, Vince Gill, Rascal Flatts, Thomas Rhett, and many others. In 2010 Neil was awarded “GMA’s Country Song of the Year” for “Somebody Like Me” recorded by Jason Crabb, earning him his first Dove Award. Other cuts by: Tim McGraw, Martina McBride, Miranda Lambert, Bonnie Raitt, Lauren Alaina, Lee Ann Womack, Nelly Furtado, Jewel, Jill Johnson, Kylie Minogue, Cassadee Pope, RaeLynn and more. With his simple yet poignant way of capturing universal feelings, Cole Taylor has quickly become an in-demand country songwriter. Nine months after moving from Cuthbert, Georgia, to Music City, Taylor signed a publishing deal with Universal Music Publishing Nashville in November 2013. He had set a goal of landing a deal within a year, and he achieved his dream with three months to the day. Since then, he has been a Sirius XM “Highway Find” with his song “Cold Beer,” released two of his own EPʼs and had two songs reach #1 on the country music charts; “Sippinʼ On Fire” by Florida Georgia Line and “Home Alone Tonight” by Luke Bryan featuring Karen Fairchild of Little Big Town, as well as a top 30 song, “Stay Downtown” by Cole Swindell. Cole has also had other songs recorded by Jason Aldean, Chase Rice, Jake Owen, Easton Corbin, Jerrod Niemann, Rodney Atkins, and Travis Denning. Additional cuts by: Reba McEntire, Eli Young Band, Montgomery Gentry, Trisha Yearwood and more. Hear hit songs from the actual incredibly talented songwriters who created them. Experience the compelling stories of how the songs came to life and found their way to your favorite recording artists. Connect and participate with the songwriters in a fun and engaging setting. Get behind the scenes and into the heart and soul of the music. 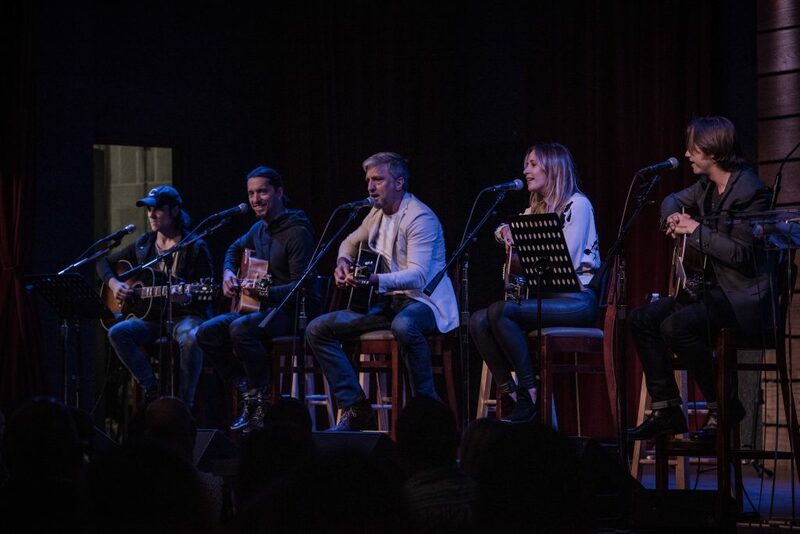 "Our group was blown away by the Songwriter City experience and commented that it was the best event that they have ever been exposed to in the past 20 years." "This was so very different than watching entertainers put on a show. It was more like being with friends who are sharing something deeply personal and transparent. This was a profoundly special evening."